Ana Dahik is a PhD student in Management at Cass Business School. 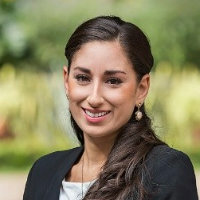 Ana is currently working at IPADE Business School in Mexico, a leading school in Latin America at the Social and Political Environment Department. Her research topics focus on cross-sector partnerships, corporate social responsibility and sustainable development. English (can read, write, speak, understand spoken and peer review) and Spanish - Latin American (can read, write, speak, understand spoken and peer review).